I have a Santa decoration that lives in my kitchen year round. The wine cork ornament was a gift from the mother of the little boy who played Timmy in The Santa Diaries premier in Easton, Maryland in 2012. 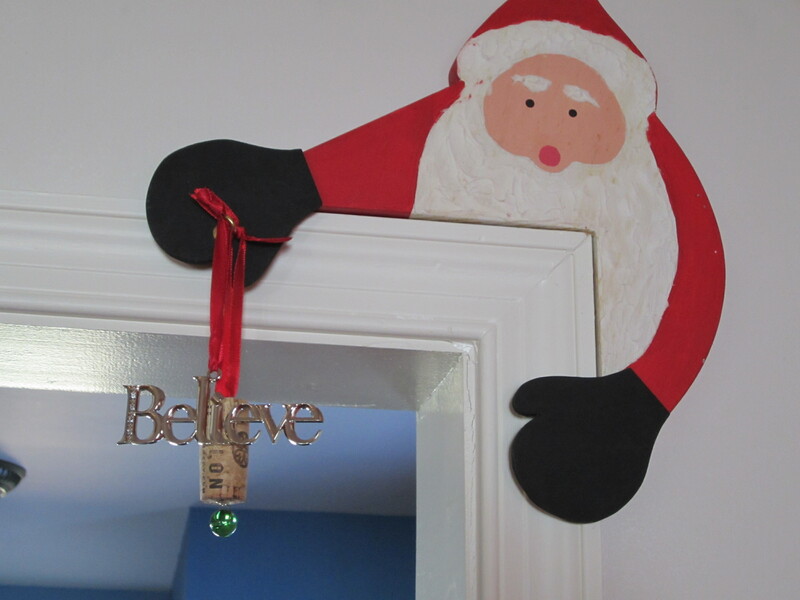 For Christmas last year Laura gave me the Believe ornament which I immediately hung on Santa’s hand. We believed that our movie script would get bought in 2014. Didn’t happen, but we continue to believe that it will happen at some point. Einstein told us time is fluid… in Hollywood. When we went to Faribault, MN to see the third production of The Santa Diaries I came home with several additions to hang on my Santa. The red ball was a handmade ornament by Stephanie Weiss who played Martha in the Merlin Players production. 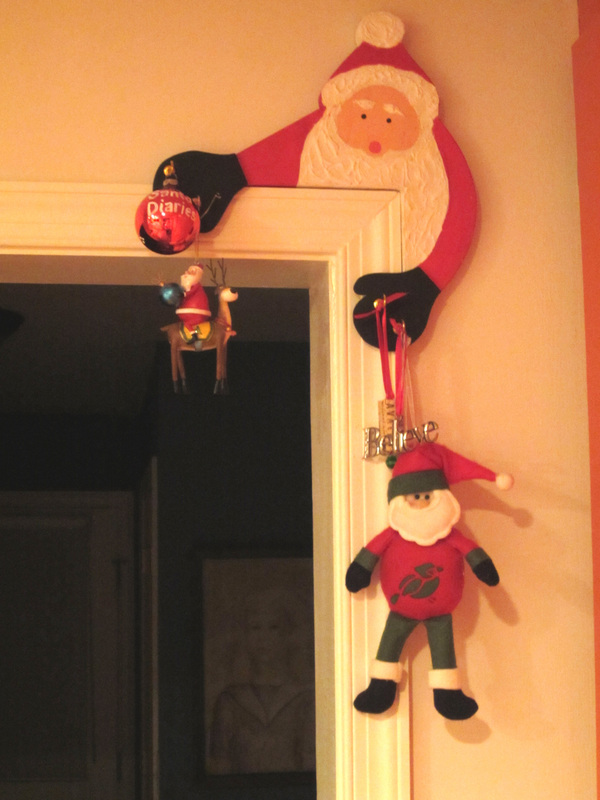 The Santa riding a reindeer hanging below the red ball was a gift from the local thrift shop. Laura and I were perusing their wares and the gal at the counter was so thrilled to meet us she asked us each to choose an ornament to take home as a remembrance. The big Santa hanging on the right was in the large basket of Minnesota goodies that the Merlin Players Board of Directors had put in our room at The Loft. The only problem now is that it is getting difficult to open the cupboard to the right of the Santa. It’s where the plates and bowls are stored so I am in it several times a day. Any inconvenience is worth it, however, as I see these reminders every day and remember the joy of each production of our play. It’s a way of celebrating every day of the year. Laura and I send our wishes for joy, peace and love in this very special season of the year. Re: selling a movie script…there’s always next year. At Christmas I believe. Below is the blog post for another project Laura and I are writing…a Christmas movie script instead of a play. 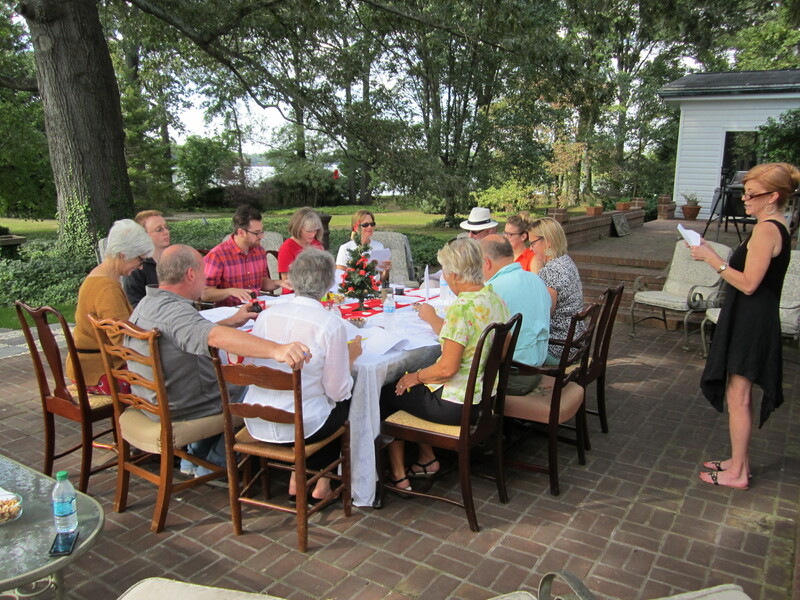 Yesterday afternoon writers from our critique group, local actors, and friends joined us at Laura’s house for a table read of our #Santa screenplay. Laura’s terrace was decorated with a crab pot Christmas tree, and a small tree graced the table. The weather was perfect with a light breeze off the Miles River. Our critique group members had read some of the screenplay over the last few months, but for others at the table, it was their first exposure. It was wonderful to see the expressions on their faces as the story unfolded. We were interested in which lines got laughs, and which got awwws. After the reading was finished, we had more critiques about the pacing, the characters, and the unexpected ending for a Christmas movie. I was particularly pleased by the comments of Mike, a local actor (one of the fabulous leads in the recent Easton production of Kiss of the Spider Woman), who thought the lead character in our script, Scarlett Cross, was strong, independent and feisty. Would Laura and I write any other kind? After the reading, we feasted on burger and dogs on the grill, drank some wine and had good conversation. Then we cut the cake! Laura had been in Carefree, Arizona for an Art and Wine Festival, so two Sundays ago I picked her up at the Baltimore Airport and we met Lori Chapman at the Double T Diner in Catonsville, a Baltimore suburb, for our post production meeting. 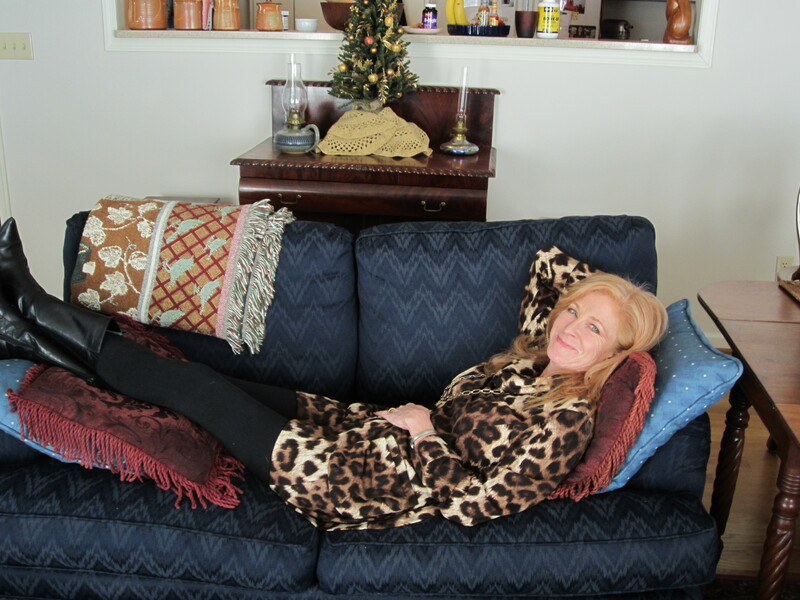 Lori was the Assistant Director of The Santa Diaries production of the Liberty Showcase Theatre. Laura said she had been up since four that morning and we had a busy schedule. Post production meeting and then theatre at Everyman in Baltimore at 7 p.m. The Director, Barb Gaspar, was to meet us, but she and her husband were driving back from Niagara Falls and she phoned that her husband was sick as a dog with some sort of intestinal flu so she couldn’t join us. I was just as glad. I did not want to be exposed to anything gastro…even second-hand. Lori said the only thing she ever ate at the Double T Diner was the crab cakes so that’s what she ordered. I had a paninni and Laura had Eggs Benedict. For a diner with a menu that weighed over a pound and easily had 1000 items, the food was pretty good. Between bites of crab cake, Lori’s only suggestion in terms of changes to the play was to see if we could combo some of the scenes so there wouldn’t be so many scene changes. The Avalon handled that with the rear projection equipment, but it was more challenging for Liberty with a shallow stage, so we knew that was going to be something we wanted to look at. At the end of our meal Laura and I looked at each other and decided to skip the play at Everyman and head home. She had to be at work the next morning and we were both tired. Next year we’re going to get matinee tickets. The Sunday night performances make for a very long trip home over the Bay Bridge to the Eastern Shore. Laura has designed a half page color ad to go into the American Association of Community Theatre‘s newsletter in March. We’ll make those changes to the script before the ad hits. Our hope is to have another theater produce The Santa Diaries for the holiday season 2014. In the meantime we continue work on the movie script. 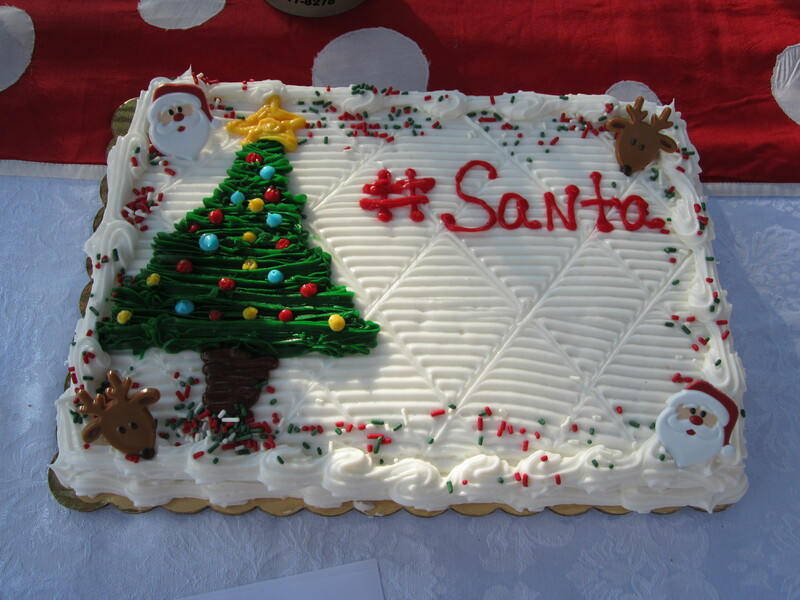 Laura and I believe that 2014 is the year The Santa Diaries will be made into a Christmas movie. In the last month I watched twenty-one Christmas movies in the name of research. Ten of the movies were new in 2013, four were from 2012 and seven were from years 2003 – 2009. There are still three movies recorded that I haven’t watched, but I just don’t know if I’m up for it. Hallmark Channel and LifeTime channel show Christmas movies all December. I know there were more that I didn’t get recorded and Laura watched a bunch at her house, too. We watched many of them together. She’d bring lunch and assume the position on the love seat in my family room. I loved having them recorded because I could fast forward through the commercials. We didn’t watch all those movies for life lessons, but from a writing standpoint entertainment blogger Melissa Locker has summarized many of the themes, conflicts, and turning points in many of these movies. 1. Never EVER fire Santa Claus. 2. If you accept a bottle of champagne from a stranger, be aware that it just might send you back in time to help your younger self make better choices. 3. The Grinch isn’t necessarily a green monster. 4. Sometimes a head injury can lead you to your heart’s true desire. 5. Christmas is the perfect time to re-evaluate all your life. 6. If you ever wanted to rekindle an old flame, Christmas is definitely the time to do it. 7. It never hurts to have straight talking friends/guardian angels/in-laws. 8. If you’ve got incredible vocal talent and want to work on your acting chops, Lifetime holiday movies are the place to do it. 9. Planning a Christmas wedding is a recipe for disaster. 11. Be suspicious of old white men with beards named Nick who play Santa Claus at community functions. 12. It’s never too late to look up an old flame. 13. When in doubt, sing Christmas carols. 14. 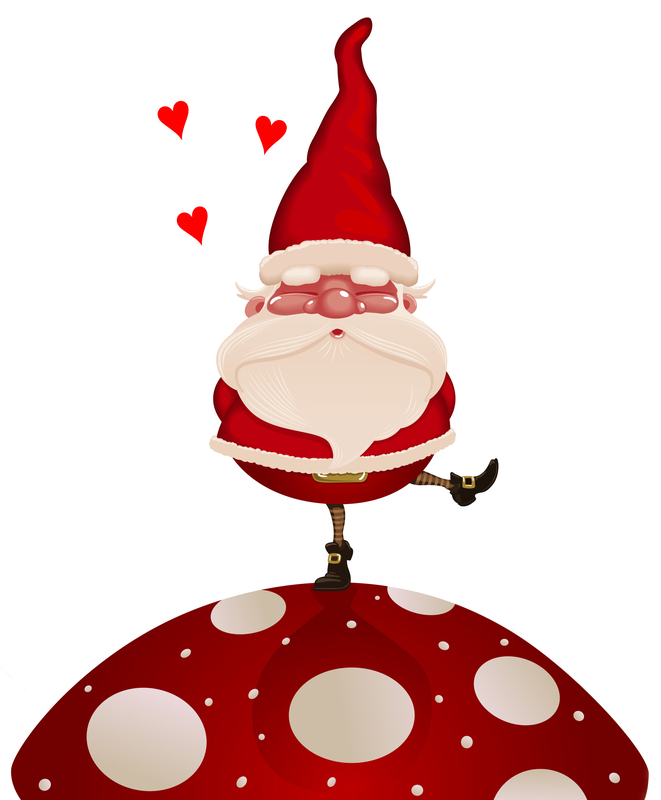 If you don’t believe in Santa Claus, he will track you down. 15. Always, always go home for Christmas. 17. You can’t chase happiness, you have to find it where you are. 18. Christmas dreams can come true. 20. Finally, there’s always a happy ending at Christmas. In case you have an inquiring mind and really want to know…here are the movies I watched along with the log lines. 2013 Movies: There were twelve new movies for 2013. Somehow I missed two of them. Hats Off to Christmas – Mia does not like Nick’s unreliable ways until he helps her disabled son. Christmas on the Bayou – A man tries to rekindle a romance with an executive who’s spending the holidays with her mother. Let It Snow – An executive with plans to update a rustic lodge has a change of heart when she falls in love. The Christmas Spirit – Charlotte’s spirit tries to change a developer’s mind and stop development in her hometown. Dear Secret Santa – A woman in mourning receives a surprising Christmas card from a secret admirer. Finding Christmas – Sean and Owen swap homes and open their hearts to two women. Window Wonderland – Two store employees compete for the window dressing job and find they have a lot in common. A Country Christmas Story – A country singer reunites with her father while appearing in a competition hosted by Dolly Parton. Christmas Belle – The sudden arrival of a longtime suitor complicates a woman’s budding relationship with a client. Christmas Song – Romance blossoms between two music teachers who compete for the same job. A Bride for Christmas – A man bets his friends that he can convince a woman to marry him by Christmas. Christmas with Holly – The owner of a toy store falls in love with a man who cared for his orphaned niece. It’s Christmas, Carol – The ghost of her former boss shows a ruthless CEO her past, present and future. Fallen Angel – Reluctantly returning to his ohometown, a man reconnects with a young woman he knew as a child. Bad Santa – A con man/thief masquerades as a department store Santa. When Angels Come to Town – A mistake places a holiday angel’s job in jeopardy. A Boyfriend for Christmas –A woman waits 20 years for a holiday wish to come true. Crazy for Christmas – A limo driver tries to help a wealthy man find his long-lost daughter on Christmas Eve. A Christmas Wedding – A real estate developer embarks on a wild cross country odyssey to get home in time for her wedding. 12 Men of Christmas – A public relations executive uses her media savy to stir excitement in a small Montana town. We pull out The Santa Diaries screenplay and read it again. (We’ve been away from it for a couple of months.) Perhaps that marination time will prove useful. It’s already been through three major rewrites. Script doctor Dara Marks had us remove the magical elements from the script. We’re now thinking we might want to put some of that back. We’ll look again at the arc of the story and the arc of each of the main characters. Sometimes a few tweaks in the dialogue can enhance a backstory. We’ve discovered that we are never quite satisfied with our scripts, but at some point you have to say it’s the best we can do for now and move forward. When we get there we’ll send it off to be read by some industry colleagues. There is an implicit timeline for buying scripts and getting them into production. One of the things we noticed about the movies we watched was that some of them seemed to be filmed in spring and summer in California. I could tell from the vegetation. The most egregious production error was the film that was supposed to be set in fall and winter Connecticut and had people driving through California brush. Come on, people! Did you think no one would notice? Set the damn movie in California. Laura and I will keep working to make our dream come true – 2014 will be the year The Santa Diaries screenplay will be turned into a movie. Laura and I emailed our revised Santa Diaries movie script to Dara Marks. We’ll have our consultation in two weeks. Over lunch today we wondered if people might want to read the script and comment on it. Why not, we thought. Email Laura at lambler@eastcoastflight.com and say you’d like to read the script. She’ll send you a pdf. We’d love to hear your comments, thoughts and suggestions. A heads up for those of you who were in the play, or who saw the play…the movie script is somewhat different. There are shifts in settings that are not possible on stage…establishing shots, cut to’s, fade to black and smash to black. The movie version is less sentimental than the play. The darling elves carrying presents across the stage are gone. But, we put in some zombies just to keep things current. If you’re intrigued, email Laura and give us your comments.